Some people enjoy dressing up for church. Others prefer jeans or other casual clothing. Either is fine. 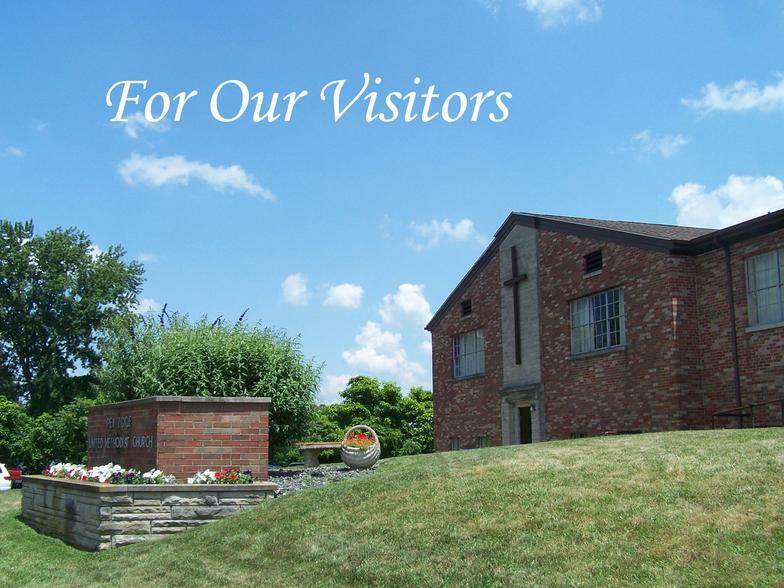 We want you to feel comfortable worshipping with us. 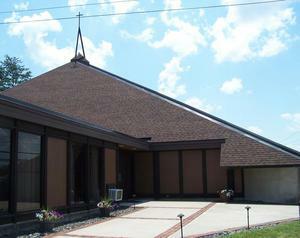 Front door leads directly to Sanctuary and Church Office. 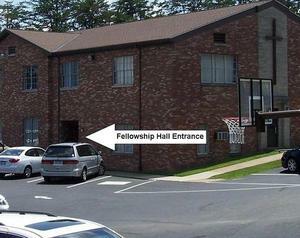 Door shown off main parking lot leads directly to Fellowship Hall. Coat racks and morning coffee are immediately past the Fellowship Hall to your left. Restrooms and Sunday School Classes are on the Right. Straight ahead and up the stairs takes you to the Sanctuary and additional classrooms. Straight ahead and down the stairs takes you to the Youth Room, Boy Scout Room & Gym. 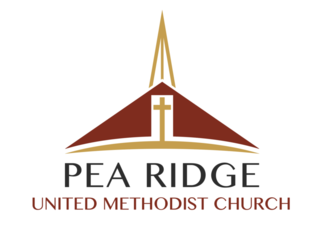 Pea Ridge United Methodist Church is located between Huntington and Barboursville just off U.S. Route 60, on East Pea Ridge Road. Click on the Google Map red pin indicator to get driving directions from your place.